Sorry for going AWOL last week, folks. Couldn’t be avoided. But now we’re back, Ben’s replacement computer should be showing up today, and we’re in decent shape, except that I think Ben has given me whatever disgusting illness he had been suffering from. He must have mailed it to me. 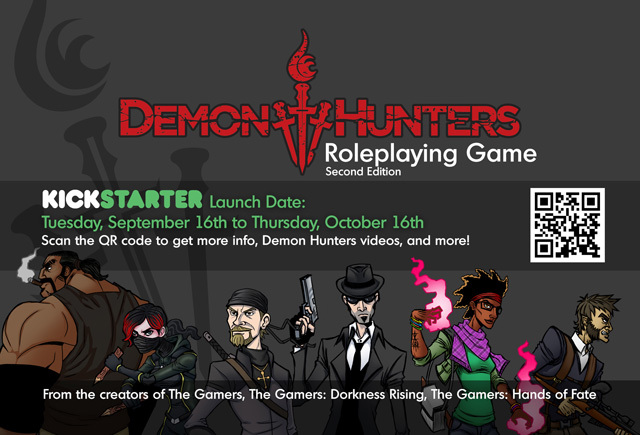 We are ONE WEEK away from launching the Demon Hunters RPG: A Comedy of Terrors Kickstarter! 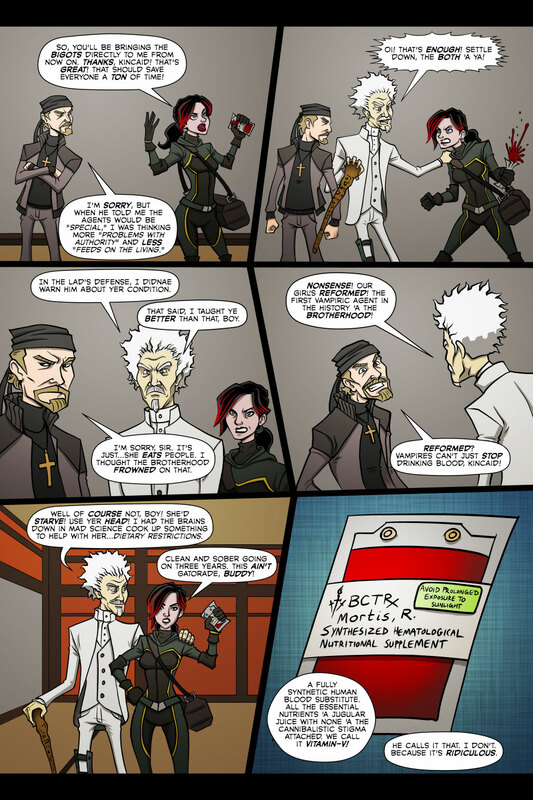 “But I already own the Demon Hunters RPG,” you say. To which I reply “Nope!” This is an all-new game built from the ground up for simple and fast character generation and gameplay. If you haven’t done so yet, check out our RPG page for more information and sign up to be notified as soon as we launch! Yeah I’m really looking forward to it also. I’m kind of hoping the comic gets a print run as a stretch goal or something for the first issue. — Every Backer At The ??? 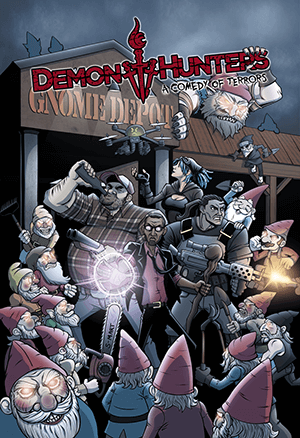 Level And Above Gets A Copy Of The Inaugural Issue Of ‘Demon Hunters: Back from the Dead’. This 80 Page Tome Should Be Ready For Dispatch Christmas 2015!